One of the biggest tech trade shows in the world, IFA, is happening this year from August 31 to September 5. We'll be on the ground at the convention in Berlin to cover all the major happenings, so in last week's poll we asked what announcements you're most interested in hearing about. The results are a bit of a surprise. In last week's poll, we first asked which product announcements you're excited about, while allowing for multiple selections. More than all the other upcoming devices, users wanted to hear about the Xperia XZ3 and its Compact variant. That comes as a bit of a surprise to me, given that the most recent earnings report shows Sony's mobile business has almost halved and it only sold 2 million mobile devices last quarter. Clearly, the pressure is on for Sony Mobile to hold onto relevancy. Perhaps the company will make the most of IFA with a more modern smartphone and drive some sorely needed sales. We will be watching closely to see what Sony has in store! I'm bored of Sony smartphones and wish they would ditch they huge bezels! Other smartphones that are eagerly anticipated include the Nokia 9, LG V40 and Huawei Mate 11 Pro, all with between 35 and 23 percent of the vote. The Moto X5 wins the award for least anticipated smartphone, with just 5 percent. The other devices on the list lacked wide appeal, with the Gear S4 and Huawei Watch 3 at the top with just 9 and 11 percent of the vote respectively. The Gear Fit 3 and Bixby smart speaker received almost no votes. IFA isn't just about smartphones, of course. Whatever type of tech you're into, IFA has it. So, we asked which categories of products you want us to keep an eye out for. A healthy percentage went for wearables (45%), AR/VR (31%), artificial intelligence (43%) and smart home (38%). It seems a large portion of our readers want to hear about these topics in general, but maybe aren't excited about the products we already know are on the way, given the low number of votes for the Bixby speaker and wearables from the previous question. So, at IFA, we'll keep our eyes peeled for the new and unexpected in these categories. On the other hand, one category in the poll didn't fare so well: drones. Only 7 percent of those who voted were interested in this topic, so we won't spend too much time seeking out drones at IFA. In the comments, one user wanted to hear about 5G broadband modems and compatible mobile devices, so we'll try to find some new information on these as well. Do you agree with the results? 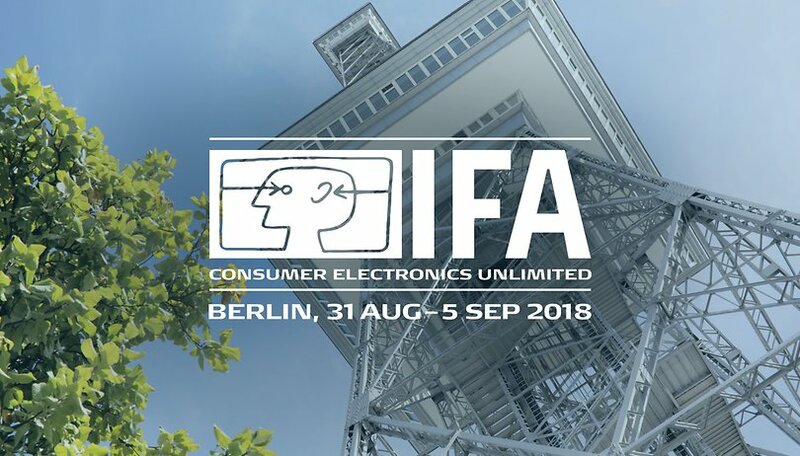 Are you excited for IFA?